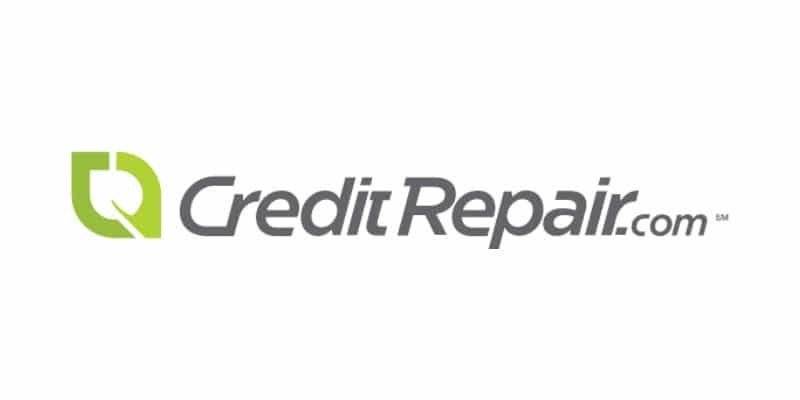 Based in Florida, CreditRepair.com has locations throughout the U.S. They’ve been in business since 1997, but that doesn’t mean they’re old-fashioned. In fact, just the opposite, that 22 years of experience has put them on the cutting edge of credit repair technology. They offer a free score tracker app for clients who prefer online and mobile communication. Plus, they also partner with Equifax and TransUnion, signaling a positive relationship with the credit bureaus — a huge asset when it comes to getting positive results for clients like you. Monitor your starting credit score and its progress through this online application. Free from both app stores, you can streamline the online dashboard through your smartphone. This gives you access to your information no matter where you are. CreditRepair.com contacts you through email and text messages to give you updates on your credit repair progress. It doesn’t matter if the news is good or bad — you’ll know as soon as the information comes in. CreditRepair.com’s three-pronged approach includes repairing past credit issues, monitoring your current credit situation, and helping you to financially prepare yourself for your future goals. Like most other reputable credit repair companies, you can cancel your subscription at any time without incurring any extra fees or costs. As soon as you’re satisfied with your credit scores, you can cut off your plan, no questions asked. Click Here to Visit CreditRepair.com Now! We’ve pulled together a list of the most common questions we receive about CreditRepair.com to help you make your decision as to whether or not they’re the right pick for your credit repair process. Don’t choose a credit repair company until you’ve read them all. How does CreditRepair.com repair bad credit? They handle all disputes on your behalf for negative questionable items on your credit reports. They contact your creditors directly to make sure they are operating within the Fair Credit Reporting Act (FCRA) and confirm that errors in your credit file are removed from the three credit bureaus. This built-in interaction takes the burden of communication off your own shoulders; in fact, the whole process is extremely stress-free! You get both progress and verification from CreditRepair.com, which can all be monitored through their full-suite of tech-friendly tracking tools. In addition to their credit repair services, CreditRepair.com also offers resources on debt solutions, identity theft, and other personal finance topics. Stay up to date on these current issues through the Education section of the website. Not only will you learn more about the credit repair process, you’ll also learn things that you can apply to your everyday finances and that can help you maintain your credit health once you’re back on an upward trajectory. How can I sign up to get my bad credit fixed at CreditRepair.com? You can sign up directly on the website or give them a call at (855) 255-0265 to discuss your needs and get started. You can speak to a live customer service representative and ask them any other questions you may have about their process and how they can help you fix your bad credit. Never be embarrassed or afraid to ask questions. Credit repair is an extremely personal journey and you need to feel comfortable with the company you choose because you’re going to be divulging a lot of details about your life. Make sure you feel a strong rapport and trust with any company before making a decision. According to their website, on average people see around 7% of their negative items removed in the first month and every month thereafter another 7% reduction in their negative or questionable items. Another statistic from the company states that members see an average increase of 40 points in four months for their TransUnion credit score. Obviously, results vary by individual, but these statistics do help give you an idea of where to set your expectations. CreditRepair.com does not guarantee any particular result from their services, however, they do have multiple reviews from many satisfied customers who have used the service. Plus, you are free to cancel at any time with no further obligation, which speaks to their commitment to getting the job done right. What kind of items can they remove from my credit reports? Any negative item can be removed from your credit reports if the information is inaccurate. This includes items like bankruptcies, late payments, student loans, repossessions, paid collections, judgments, charge-offs, hard inquiries, etc. It doesn’t matter if the entry is ‘mostly’ correct or ‘almost’ correct – inaccurate items can be successfully challenged because your rights to an accurate credit file are protected by the Fair Credit Reporting Act (FCRA). CreditRepair.com will customize your individual strategy based on the information found in your actual credit report. Could the negative items be added to my credit report again after they’ve been previously removed? This is highly unlikely. Credit reporting laws make it difficult for creditors to re-add negative items that have been successfully disputed and deleted. And since CreditRepair.com is an expert at interpreting consumer laws like the FCRA, you can feel confident that you’ll experience long-term results when you sign up for this service. 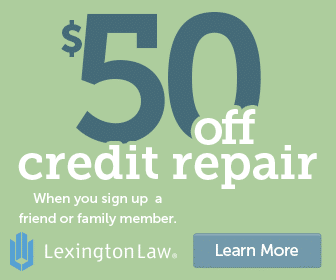 Which credit repair company is better, CreditRepair.com or Lexington Law? While we have Lexington Law ranked #1, credit repair is a very personal choice and everyone’s circumstances are different. We encourage you to review the full-service offering of every credit repair company you are considering in order to find the best fit. Consider factors like the range of services you’d like to receive, how and when you can access a support team member or other account information, and how much of your monthly budget you can (or want to) devote to your credit repair journey. They are located in West Valley City, Utah. However, they serve most states in the US and there is no need to visit them in person. Everything can be handled over the phone or internet, making it an extremely convenient service for consumers across the nation. CreditRepair.com has one plan for their services. They charge $99.95 per month to repair your credit. This pricing structure takes out a lot of the guesswork when it comes to determining what services you should get and how much you’re willing to pay for them. With CreditRepair.com, one price gets you the whole array of credit repair services, no questions asked. Do they offer a family discount or couple’s discount? Yes! In fact, CreditRepair.com offers one of the deepest discounts for couples. If you sign up with a friend or a family member, you each save $50 off of the first month’s payment — that’s the equivalent of a 50% discount! This is a great way for couples to prepare for their financial futures together, no matter what stage of life they’re in. Whether you want to buy a house or gear up for a quiet, financially stable retirement, creating a joint credit repair plan is the perfect way to get started. Or maybe you want to improve your finances with the support of a friend; it’s a great bonding experience and you always have someone to talk to about your credit who knows what you’re going through. What is the phone number for CreditRepair.com? You can reach them by calling (855) 255-0036. Also check out their website for tons of free financial resources, YouTube videos of customer success stories, and more. It’s a great website with lots of information to help you get started with your own credit repair process, whether you choose them or not. What are the open hours for CreditRepair.com? Though not open 24 hours a day, seven days a week, CreditRepair.com still offers extremely flexible hours so that you can find a time that’s suitable with your own schedule. They know that life is hectic with work, kids, and other responsibilities, so you still get solid access throughout the majority of the week. Plus, you always have access to your account through your online login and the smartphone app. How can I cancel my credit repair services? Because they offer month-to-month services, you can cancel at any time by contacting the customer service reps at CreditRepair.com. You never have to worry about broken contracts, fees or penalties when you decide you’re ready to cancel your plan. CreditRepair.com is ideal for tech-savvy individuals who are constantly on the go. It’s also an excellent choice for couples who want to work on their credit repair at the same time. The monthly fee is slightly higher than some of our other favorites, but you do get a lot of user-friendly perks that are unique to this particular company. If you want easy access to an array of online tools and data, then they could be a great choice for you. Click Here to Visit CreditRepair.com Now! Or call (855) 255-0036 for a Free Consultation!